Last date for guaranteed Xmas delivery was 6th December! However we are still printing and despatching until 21st December. May we take this opportunity to wish all our customers a very Happy Christmas & New Year. At Grangeprint we use the best quality canvases for our photo canvas prints. 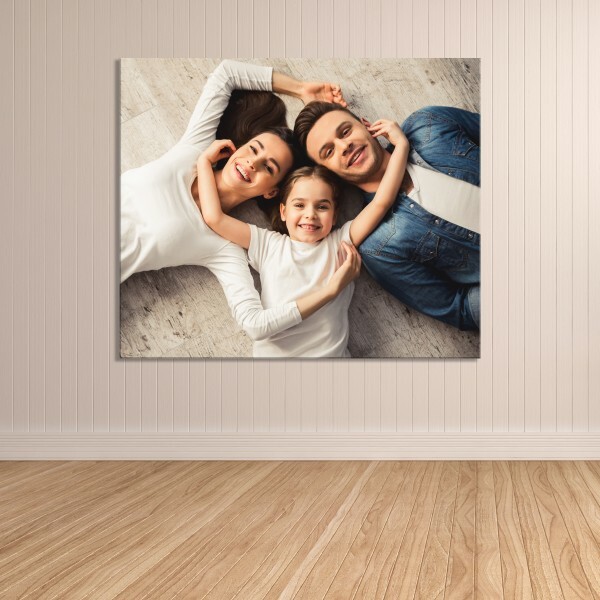 We are so confident that you'll be happy with our photo on canvas solutions that we offer a 100% money back guarantee. Hundreds of collage designs. Add 1-100 photos. Add text and choose from 2 frame sizes. 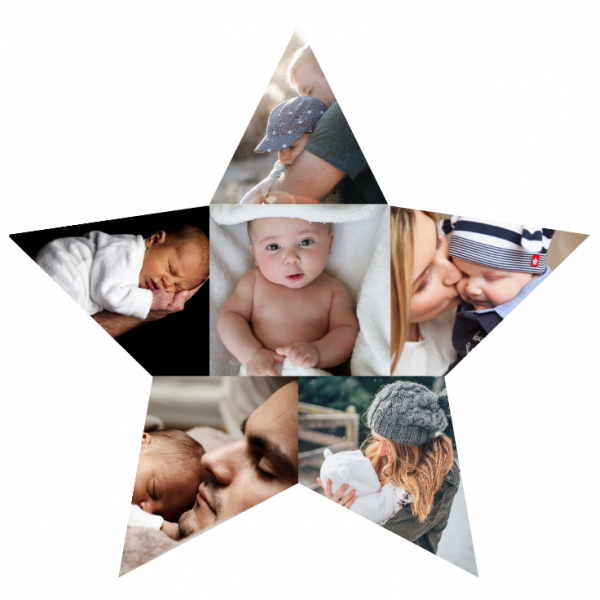 Use our easy to follow online design tool to make your perfect collage. Make a statement and create amazing wall art with our Retro Polaroid canvas. 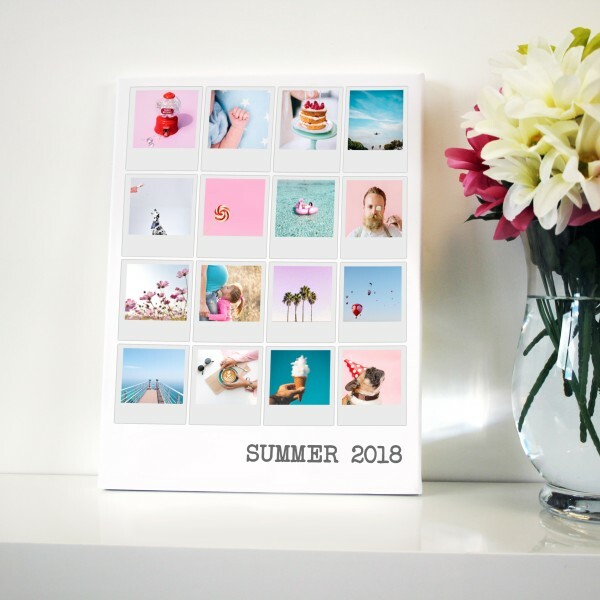 Keep your memories alive using a single image or create a Polaroid collage with 4, 9 or 16 images. 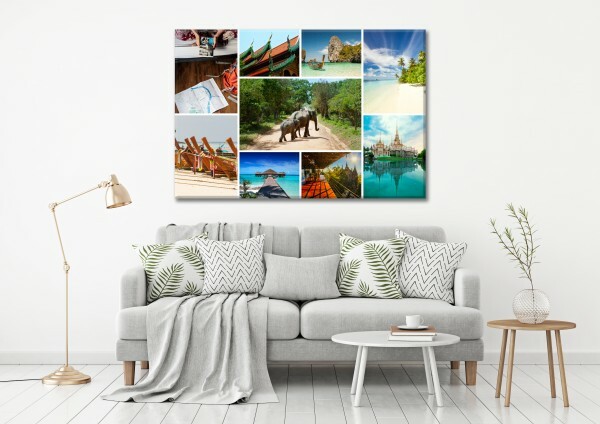 Personalise your canvas with captions and titles to make a truly unique canvas that stands out on any wall. Perfect for Industry events to grab attention. They are available in Standard, Premium and Deluxe. 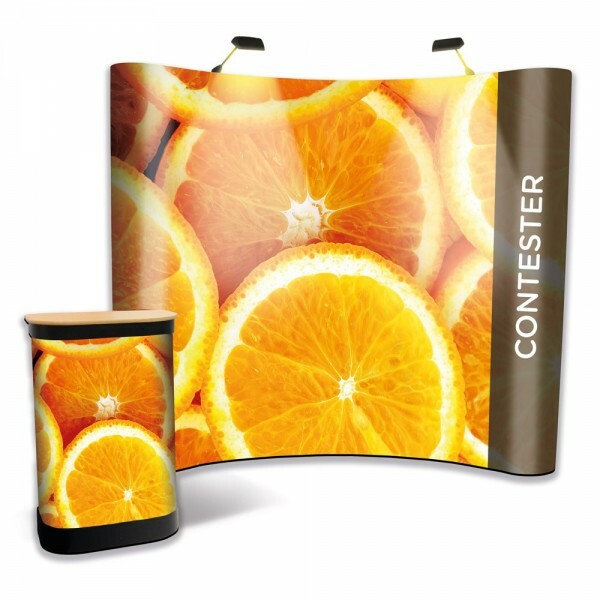 Stand out from the crowd with our eye catching, vibrant exhibition stands. 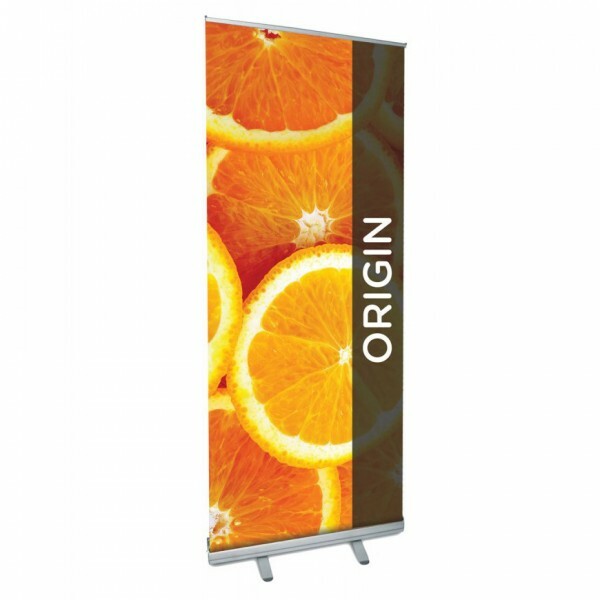 Perfect for exhibitions, conferences and events. Easy to transport and install. 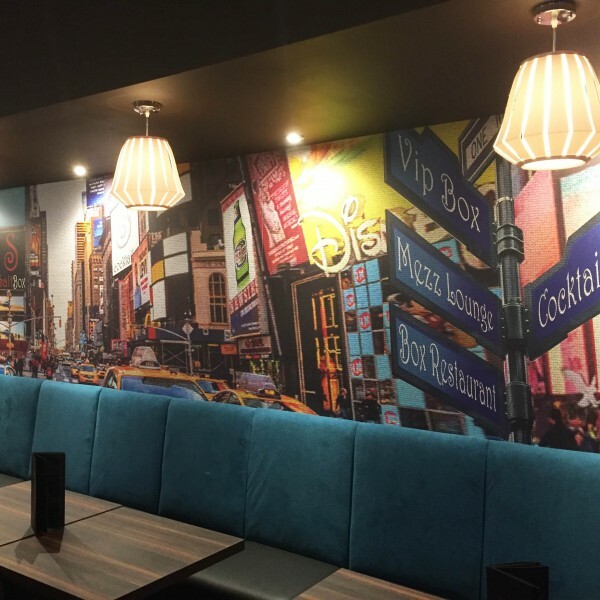 Digitally printed wallpaper is a fantastic way of transforming office, retail or home interiors. We use Digimura, which is a fabric backed wall covering. Add 6 photos to this square collage. Choose from colour or black and white. Wide range of sizes to suit any wall. Add some unique wall decor to your home.